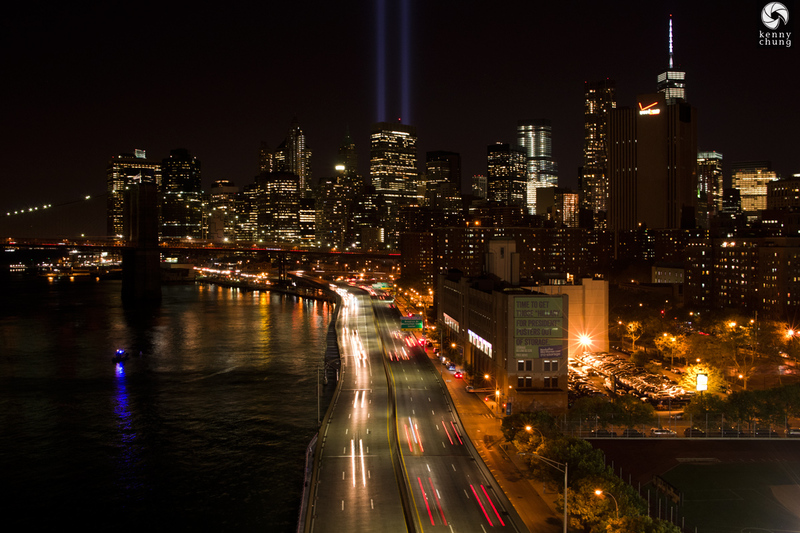 It is always with a heavy heart that September 11th arrives and passes. 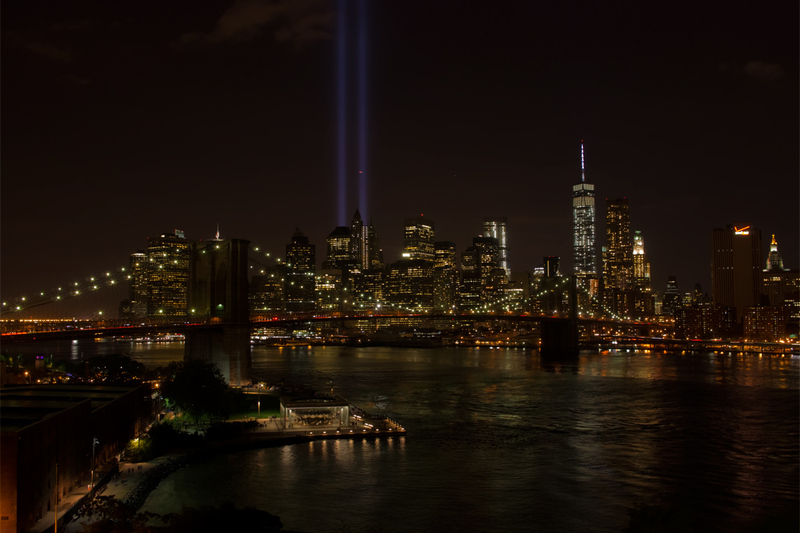 While every anniversary is significant, 2014 marked 13 years since the September 11th attacks, and many things have changed since then. 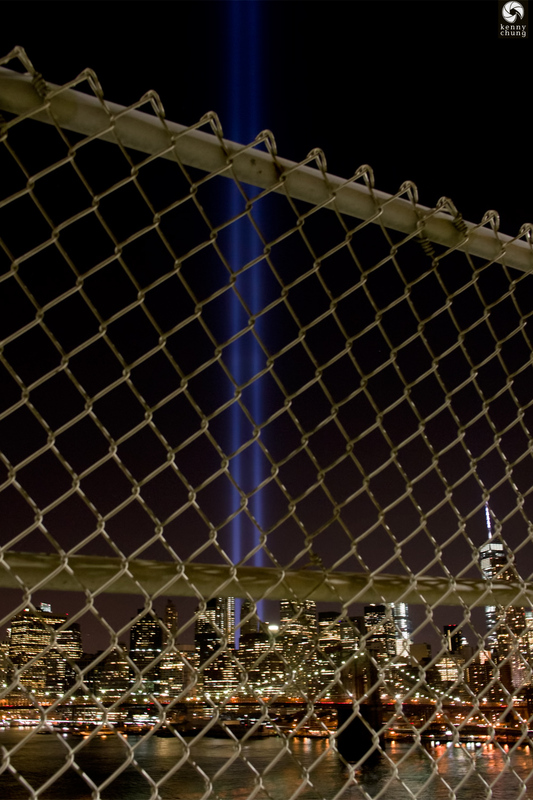 The Freedom Tower was completed this year and the Ground Zero memorial and museum was opened. 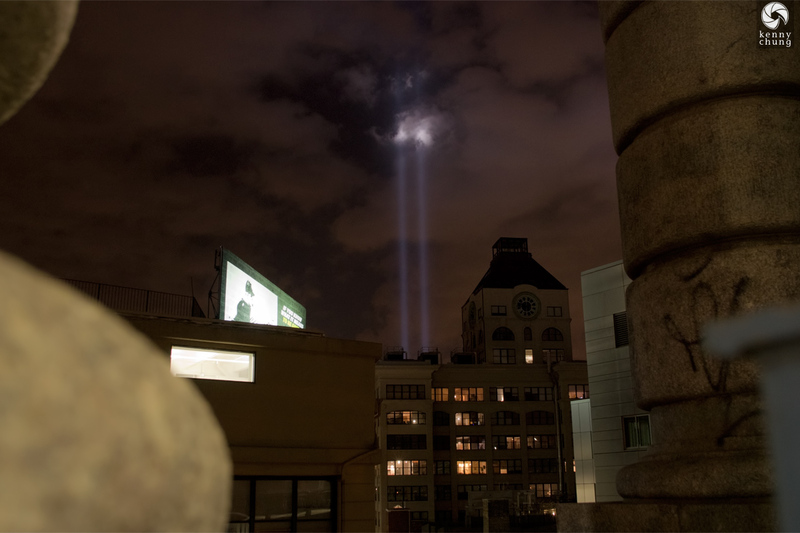 The tradition of projecting beams of blue light skyward, however, was still going strong. 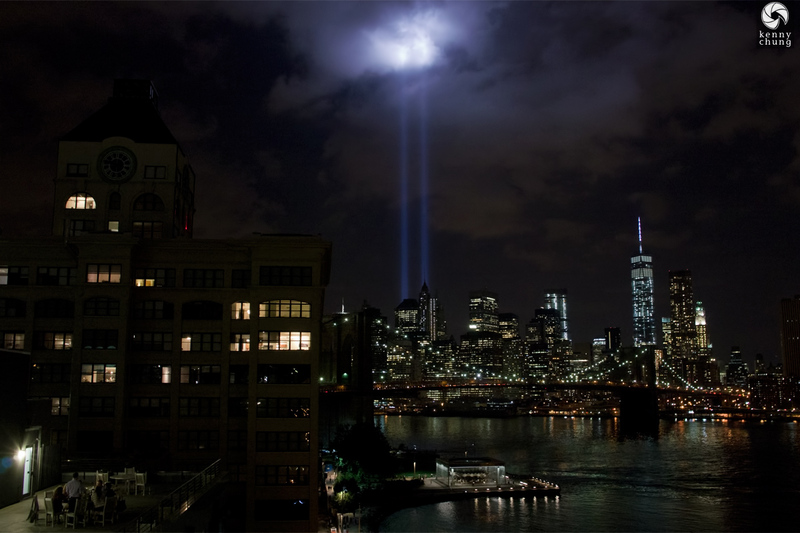 This was my third time in four years photographing Tribute In Light, and with change in the air, I decided to take photos from a new vantage point. 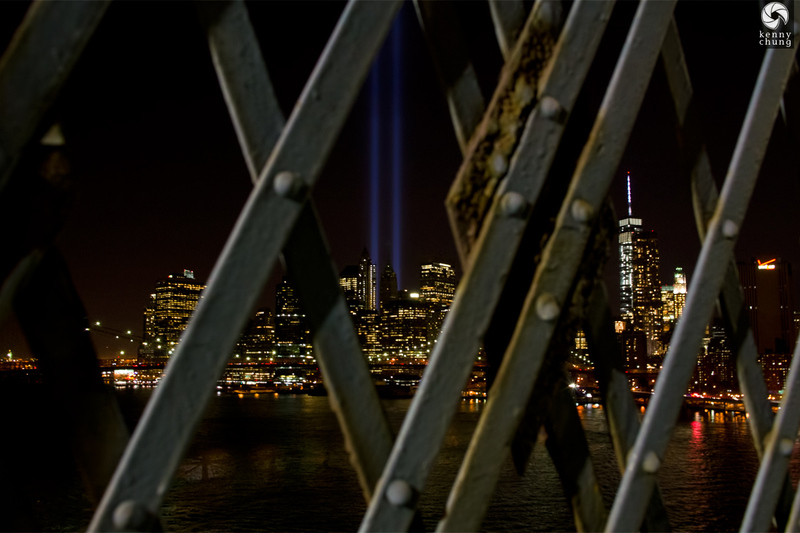 This set of photos was taken along the Manhattan Bridge Pedestrian Walkway, a trip I've done before under more lighthearted circumstances. I started the trip from the Brooklyn side. 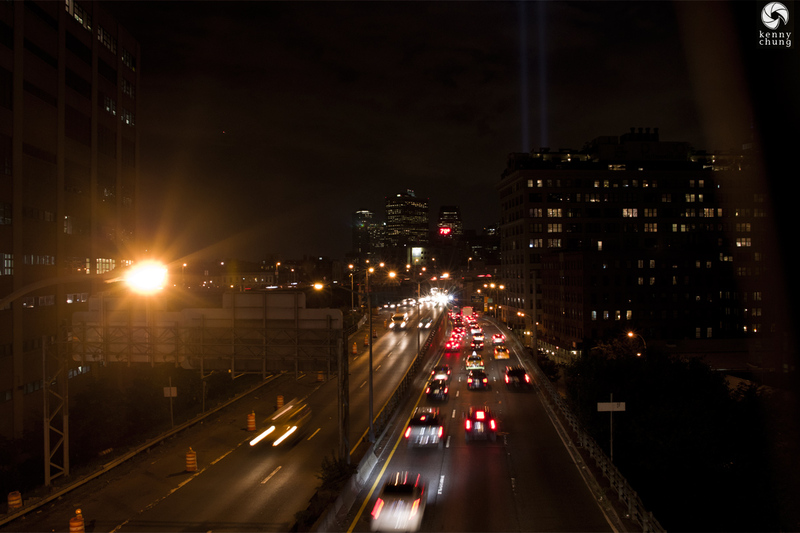 The first glimpse of the Tribute In Light was over the Brooklyn Queens Expressway. 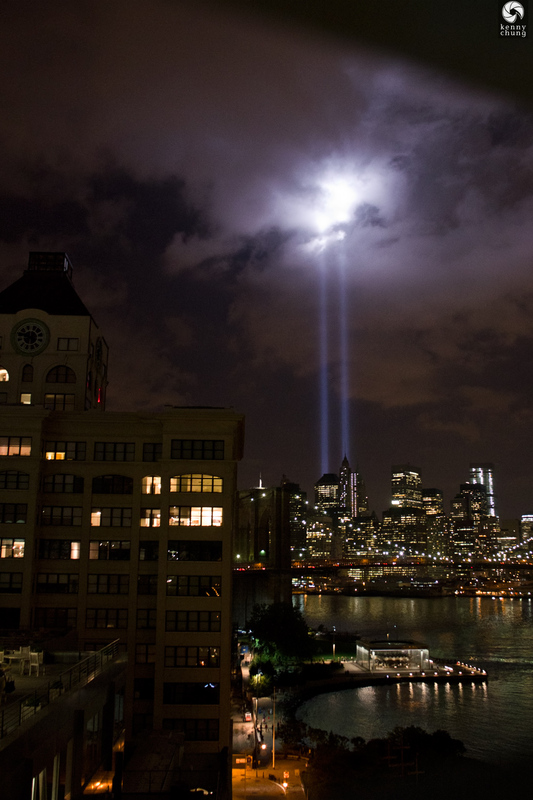 The two beams broke into the clouds behind the Clock Tower Condo in DUMBO, Brooklyn. If not for the Clock Tower, the folks on the patio would have had the best view of the light beams. 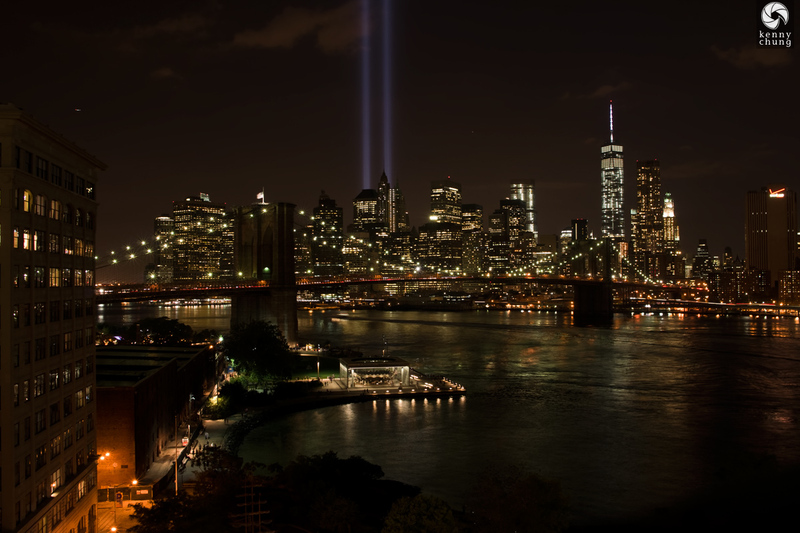 Tribute In Light, the Clock Tower, Brooklyn Bridge Park, and Jane's Carousel all in the same frame. Once again, Brooklyn Bridge Park and Jane's Carousel below, with the Brooklyn Bridge and Tribute In Light in the background. The completed Freedom Tower is also visible in the skyline. A different perspective of the light hitting the clouds above, juxtaposed with the steel construction of the Manhattan Bridge. 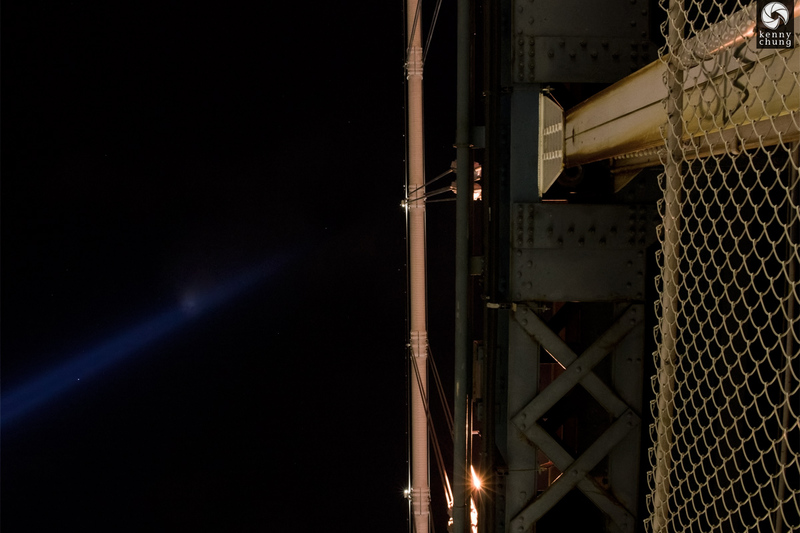 A view of the lights through the metal lattice of the Manhattan Bridge. 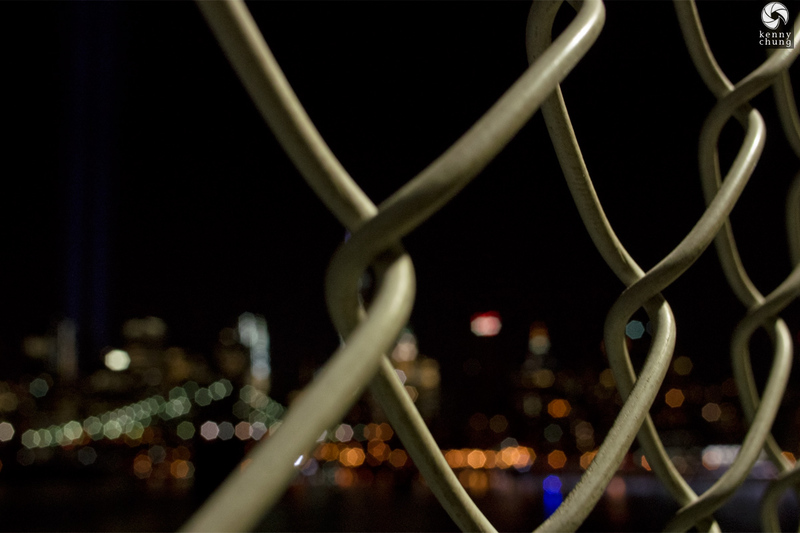 The lights through the Manhattan Bridge fence. 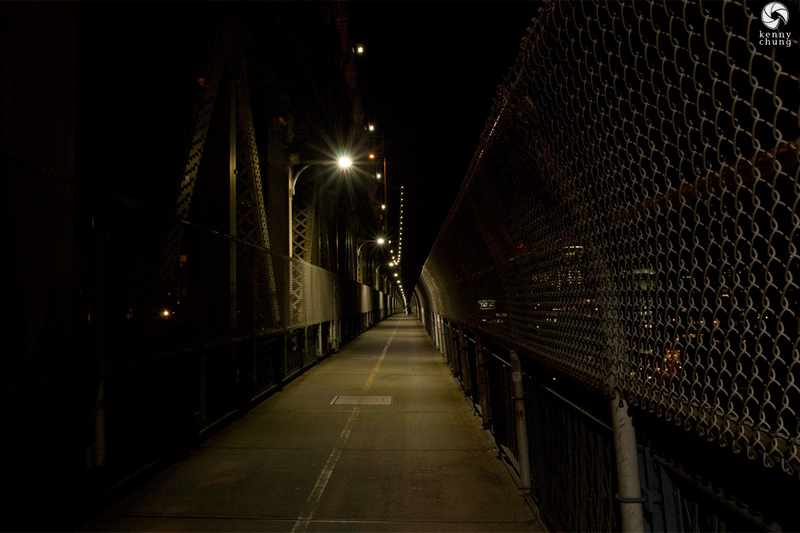 On the Manhattan side of the bridge, here's the FDR Drive with the lights in the background. Turning around to walk back to Brooklyn. I love the bokeh in this final shot.